The OP grumpy medicine cat. 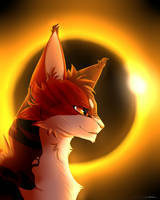 What do you think of Goosefeather? Personally I feel bad for the poor guy, always seeing and hearing things others couldn't. i agree on that, felt pretty bad for the guy honestly. Why thank you. My only regret is that I didn't make them bushier.